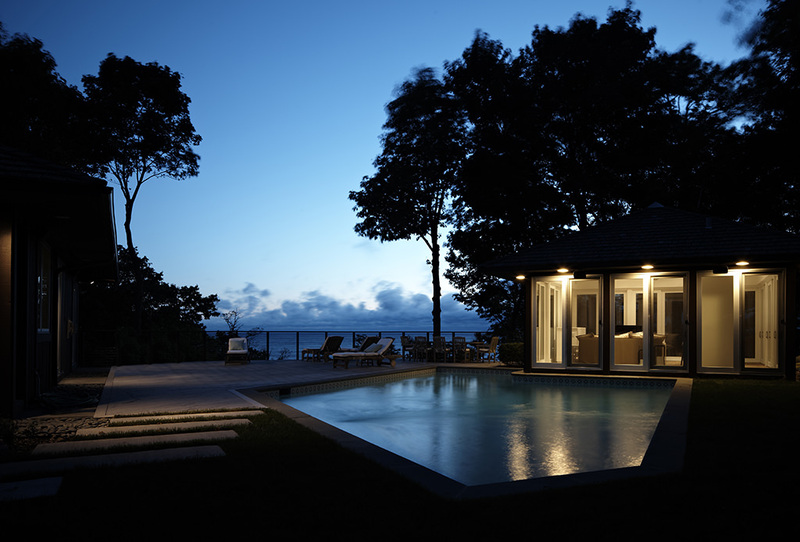 Distinguished by its clean architectural lines – and stunning vistas from its bluff site over Lake Michigan — this unique pagoda-style ranch house was renovated to reconfigure internal spaces and develop outdoor living spaces, while respecting the original 1970′s structure designed by Ernest Grunsfeld III. The dwelling is comprised of three cubes linked by interconnected passages. The Great Room was gutted and redesigned as an open plan with a combined kitchen and living-dining areas. 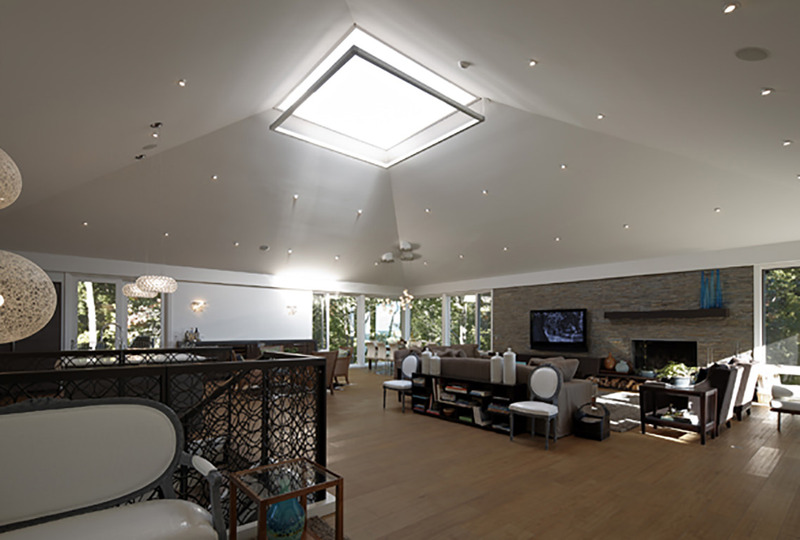 Illuminated by the restored 8’x8’ pyramidal skylight and new windows, this cube is the heart of the home. 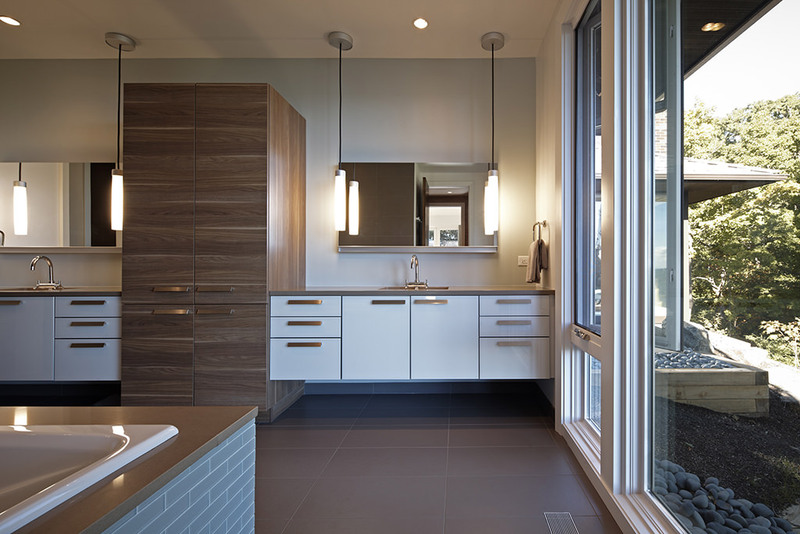 Interiors were inspired by the natural setting and a warm and whimsical aesthetic. 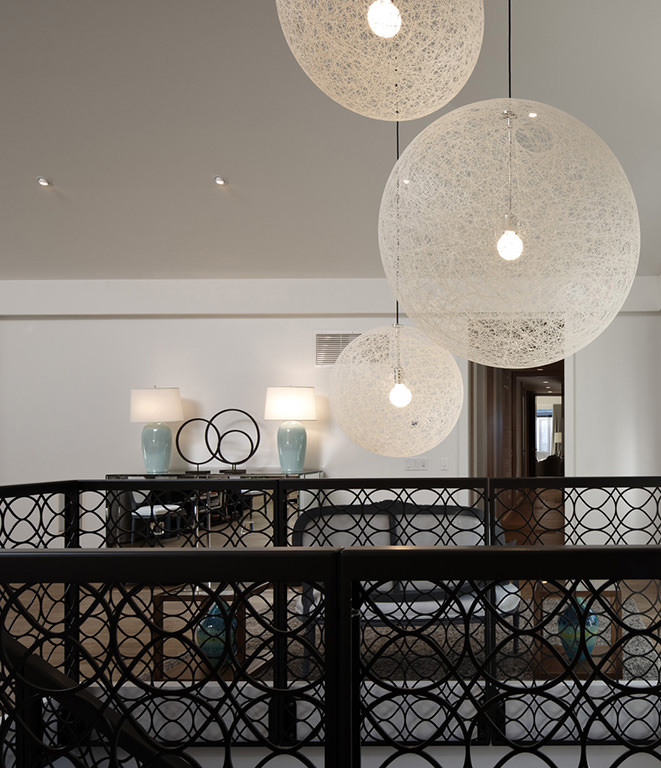 Circular, organic shapes are repeated in the new stair rail and decorative lighting . The hearth highlights a stone feature wall and wood built-ins. To maintain focus on the living-dining area and views, the kitchen is neutral, with smoky oak cabinetry that contrasts with white quartz countertops. 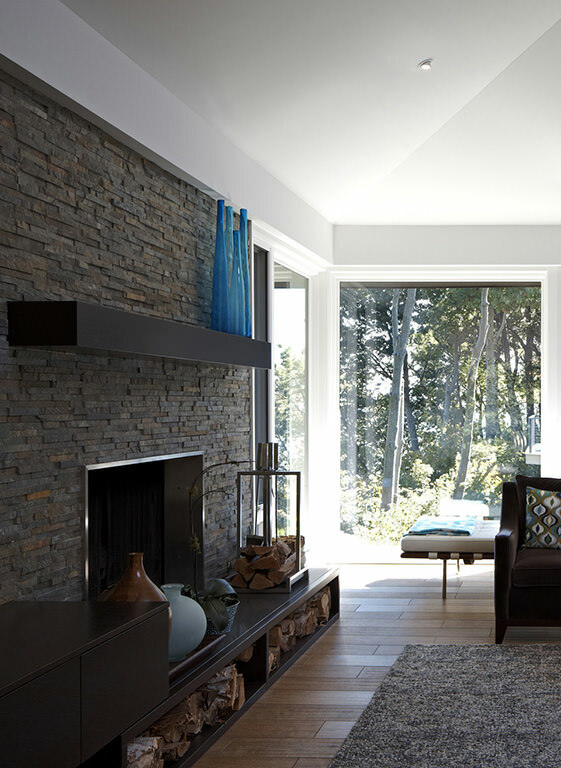 Inspired by its setting, the interiors feature soft shades of blue and tan, stone and wood accents, and light-filled spaces that make the house a serene lakefront retreat.